Going beyond renewable energy development, we focus on creative ways to remediate environmentally damaged properties in ways that are economically profitable- and at the same time will provide for future generations. United States. From our foundations in traditional real estate development, Spano Partners has evolved into an economic leader in the emerging renewable energy industry. While industry titans fell during the real estate crash of 2008, we reevaluated and repurposed our development real estate assets to meet the demand for increased renewable energy power. That strategic move set us on a path of leadership and reaffirmed our commitment to clean, renewable power as the most profitable, ethical, and common-sense path to prosperity. While solar constitutes the main thrust of our business today, Spano Partners is also pioneering exciting new avenues in mining technology- including rare earth element and oil recovery as well as utility-scale water treatment solutions. Spano Partners combines extensive experience in real estate land development, finance and utility-scale solar development- has allowed us to become recognized as an unparalleled leader in the field. Our unique perspective allows us to approach projects from these three interlocking vantage points that improve economics to maximize value, attracting long-term buyers. As a result, major solar and land developers rely on us to reposition their projects for enhanced value and cash flow- and to turn around projects that were once considered unfinanceable. Spano Partners Holdings has now begun an extensive program to develop distributed generation projects through its rooftop solutions program. We have partnered with Nation’s Roof, the third largest roofing installation company in the United States with over 1600 employees and 20 offices across the United States, along with several solar EPC companies such as Strata Solar, the third largest solar EPC with over 2000 employees and 600MW of solar assets on their balance sheet to offer a unique approach to expand the penetration of rooftop solar in the United States through a financially engineered program. 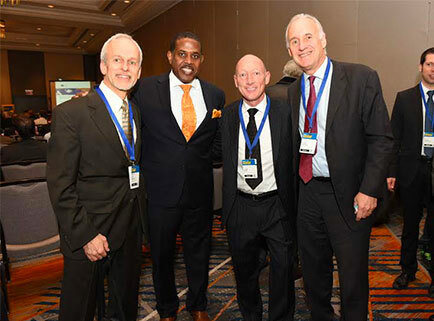 The program provides extensive financial incentives to property owners of self-tenanted properties greater than 50,000 square feet, with an off-balance sheet financing program. 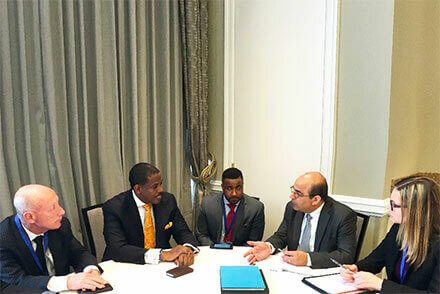 James Spano, Kevin Parker, New York State Senator, Daniel Harrison Green, Council for Senator Parker, Mukesh Dulani, CEO of Solarworld USA, Stephanie Leupp, Head of Sales at Solarworld. From our founding mission pioneering the most innovative renewable energy solutions in the U.S., to funding philanthropic development work in remote corners of Haiti, we regard power as the most vibrant spark of civilization. We lead by example, showing clean, renewable resources are not just viable- but the profitable way forward. Going beyond renewable energy development, we focus on creative ways to remediate environmentally damaged properties in ways that are economically profitable- and at the same time will provide for future generations. Our goal is to improve the environment and show it can be done in an economically beneficial way so that others will follow suit.